Sorry, This Molly Bloom's Irish Pub Location Has Been Reported Closed. 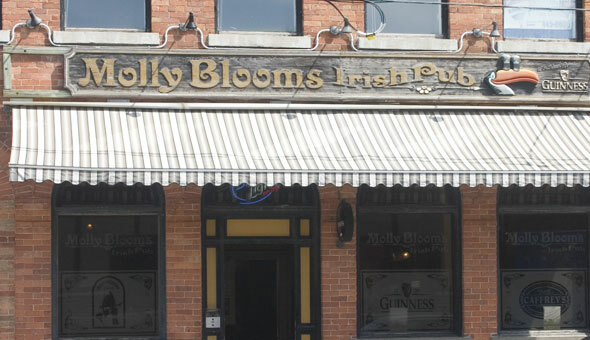 Molly Bloom's Irish Pub is at 29 Simcoe St. just east of Hurontario St. in downtown Collingwood. Molly Bloom's features live entertainment, DJs and Karaoke seven days a week. Monday nights are 1/2 price wings, Friday is all-you-can-eat fish 'n' chips, and there are drink specials daily Monday to Thursday.